Brace Yourselves! The Village is Back! 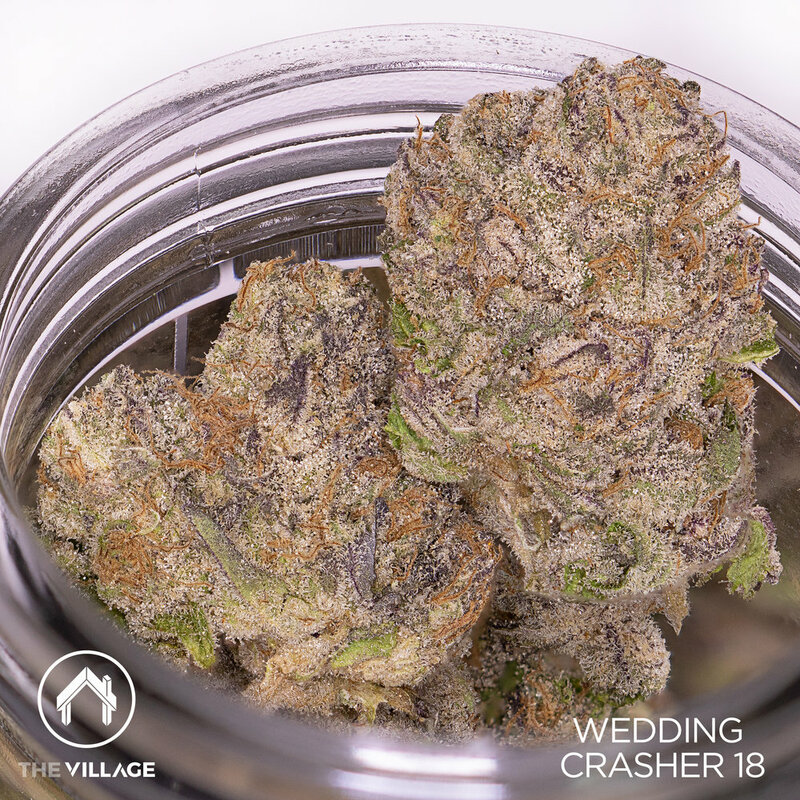 Founded in Sacramento, The Village is committed to creating exquisite connoisseur quality cannabis. Meticulous care is taken at every step of the growing & curing process resulting in a product that’s world class. Try an eighth today and experience the distinction yourself! Sundae Driver #19 26.97% THC - (Fruity Pebbles OG x Grape Pie) The smell of this strain is as mesmerizing as the bud itself. Luscious blueberry muffin, cinnamon, and sandalwood aromas permeate your nose immediately. The nugs are drowning in trichomes with fuzzy orange hairs creeping out for air. Bred by Cannarado Genetics and selected by the Jungle Boys, this strain is one you won’t want to miss. Jungle Cake 26.94% THC -(White Fire OG x Wedding Cake) A little less pungent this time around, Jungle Cake is still packing a formidable punch in terms of high. The flavor is extremely earthy; the fragrance reminiscent of walking past gardenias in bloom, surrounded by oak trees. Wifi Mints 25.61% THC -(Wifi 43 x Animal Mints) A popular strain amongst SSCC staff, this new drop has all the frosty, purple goodness we’ve come to expect from The Village. It has a musky rose petal smell and a sweet grape finish in taste. Article and photography of Sundae Driver #19 & Wedding Crasher #18 by Courtney Wagner. Jungle Cake photography by Eric Solomon. Older PostNew Raw Garden Release!